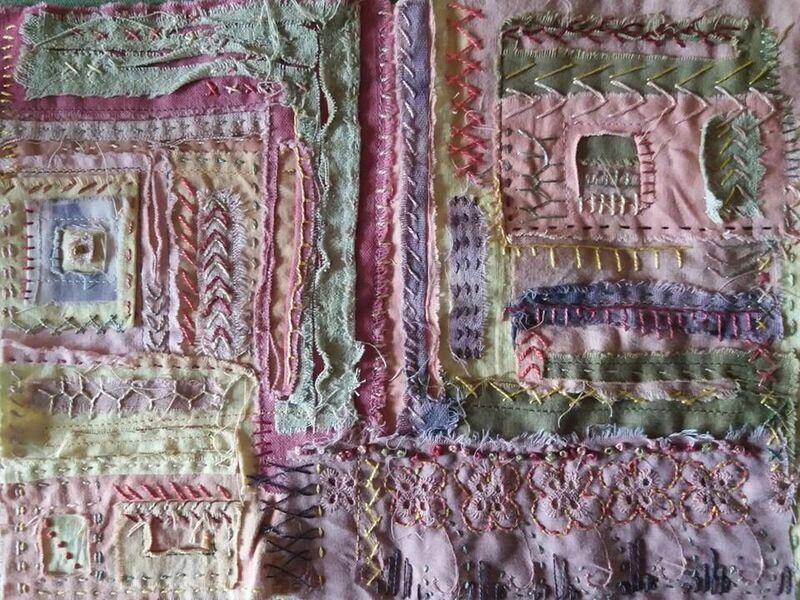 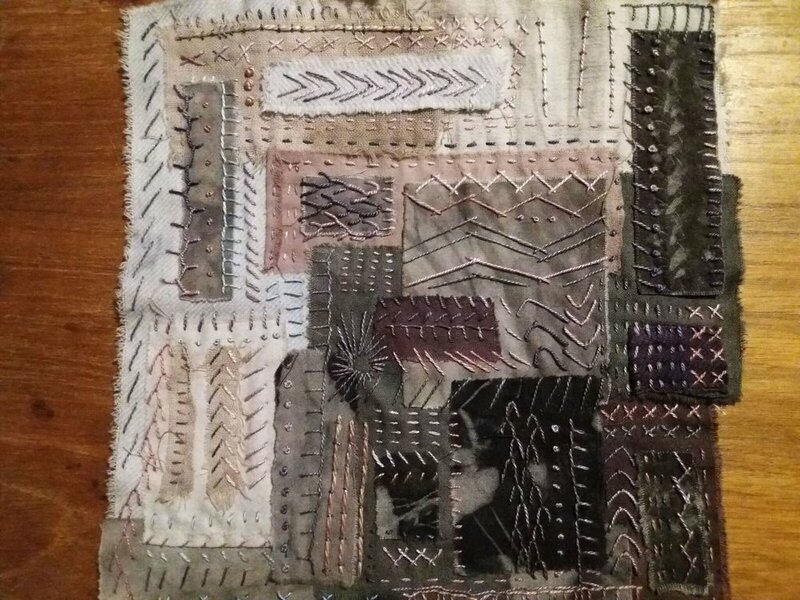 I have loved hand stitching for a long time, enjoying the slow process, of embellishing with the needle and thread. 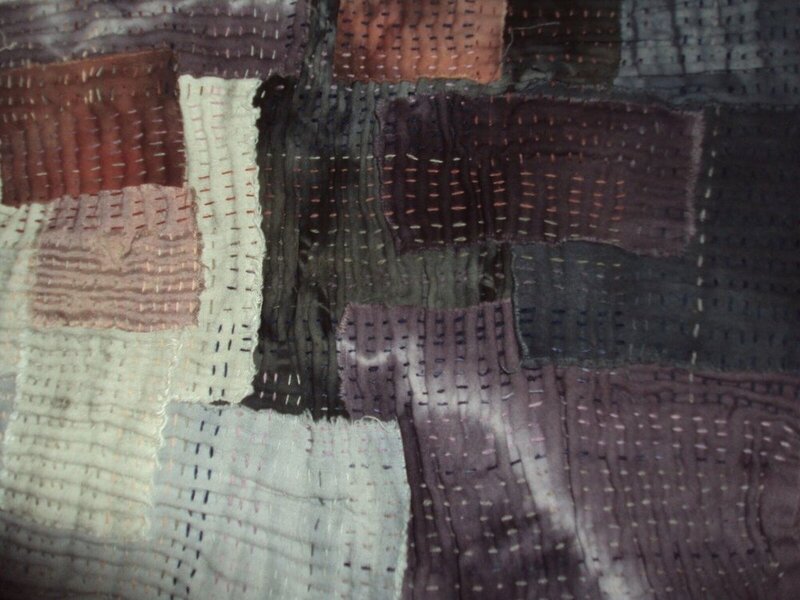 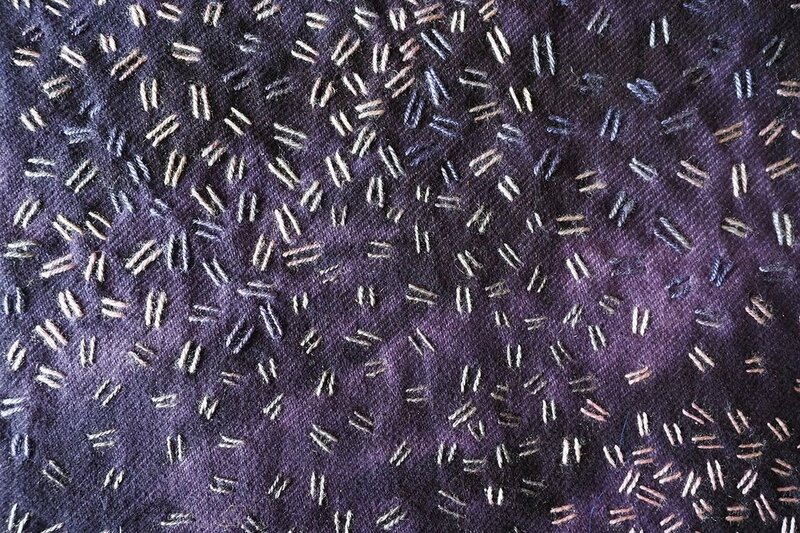 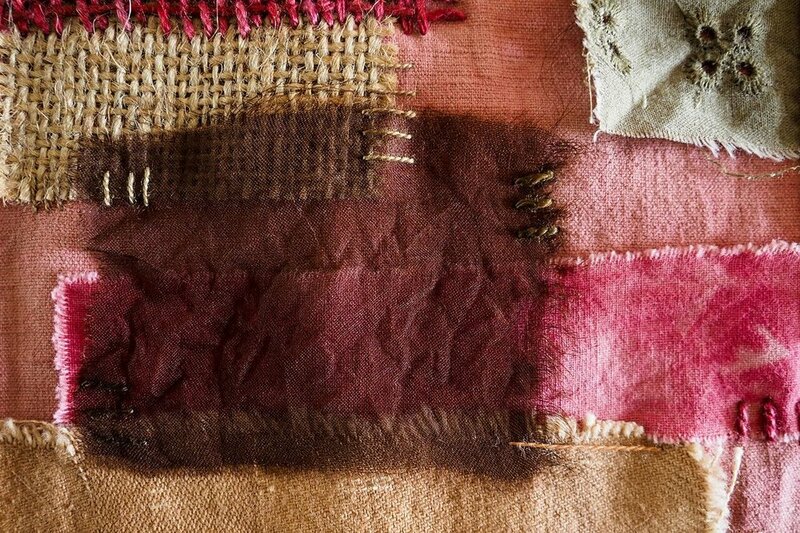 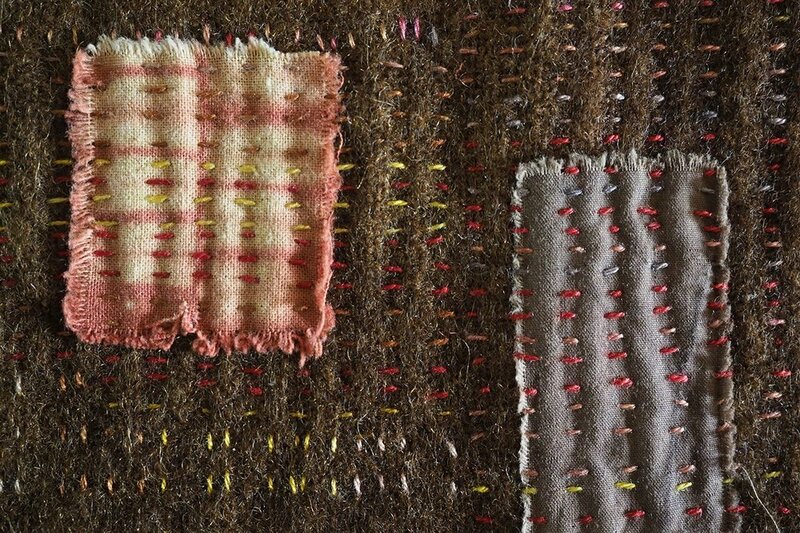 I especially love stitching with raw silk threads that I've dyed with plant dyes. 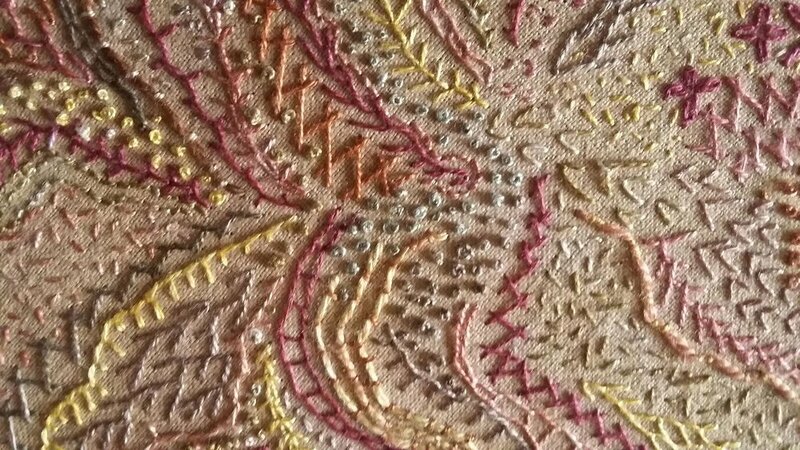 I enjoy using traditional embroidery stitches as well as enjoy doodling with thread, inventing my own stitches.